Research, branding and package design. 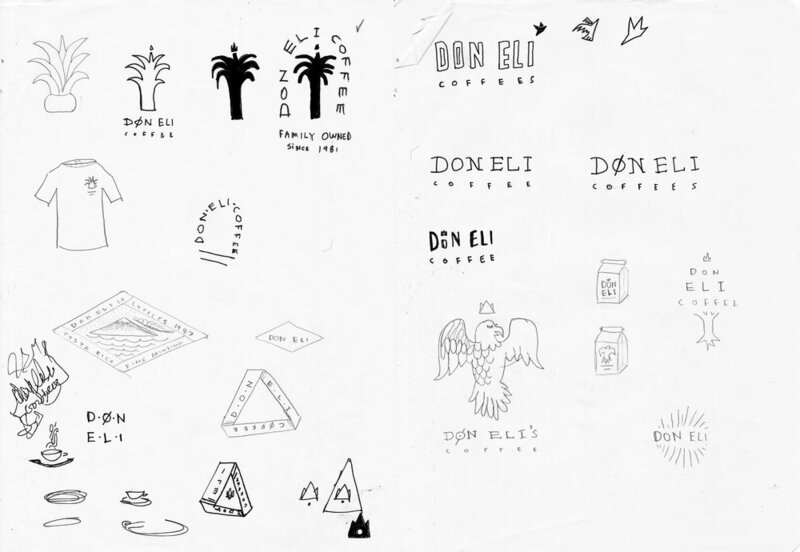 Logo and branding for Don Eli Coffee, the first seed-to-cup offering from the Montero family farm in Tarrazu, Costa Rica. Produced in collaboration with Sound Coffee Collective. The name "Don Eli" comes from the family patriarch who started everything, and has nothing to do with the designer they hired. Scroll to the end to see my design process. Following is a glimpse of my creative process from rough sketch to multiple design directions, and final product. Unused design styles that in the end, the client decided were less iconic than the final direction we agreed upon.